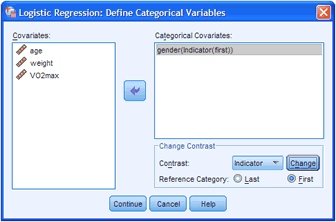 Learn how to use SPSS Statistics to analyse your data. Our comprehensive, step-by-step guides show you how to analyse your data using a wide range of statistical tests, from the very basic to the much more advanced. For each statistical test, we take you through the complete procedure that you will use in SPSS Statistics, assuming you have little or no knowledge of SPSS Statistics or statistics. All guides include large screenshots and step-by-step instructions, as well as tips and notes that will help you to understand what is happening to your data along the way. With a wide range of statistical tests covered, use Laerd Statistics as your definitive SPSS Statistics guide. See what our users' say below, or learn more about our Step-by-Step Guides, Examples, Options, Advanced Tips and Guides, and the Statistical Tests that we currently cover. Each of our guides shows you how to carry out a different statistical test using SPSS Statistics. We start by explaining what the test is, when you should use it, and what you will be able to conclude from it. We then guide you through the SPSS Statistics procedure with comprehensive, step-by-step instructions with large SPSS Statistics screenshots. Along the way, we include important notes and explanation so that you don't simply know what buttons to click and options to select within SPSS Statistics, but also how the specifics of your data may influence what choices you should make. Again, all guides have been written assuming that you have little or no knowledge of SPSS Statistics or statistics. When we show you how to use SPSS Statistics to carry out a particular statistical test, we do this using an example. If you want to practice before analysing your own data, you can download the SPSS Statistics data file for each example. You'll quickly be able to check that you get the same results that we do. Since there can be different numerical and graphical ways to approach the analysis of your data in SPSS Statistics, we show you what these are, and when/why you should use these different options. In addition, SPSS Statistics now has many new methods of presenting data using its Model Viewer. We explain how to use this new type of procedure and output, and what the advantages are. If you are a doctoral student or researcher, you may be required to have a more advanced understand of the statistical methods underpinning SPSS Statistics (e.g., how SPSS Statistics calculates confidence intervals when using different commands for the same statistical test). We help you to understand some of these features and their implications, using straightforward language, without the need for a deep understanding of mathematics. In addition, you may need to run more advanced statistical tests (e.g., mixed ANOVA, principal components analysis, logistic regression, etc. 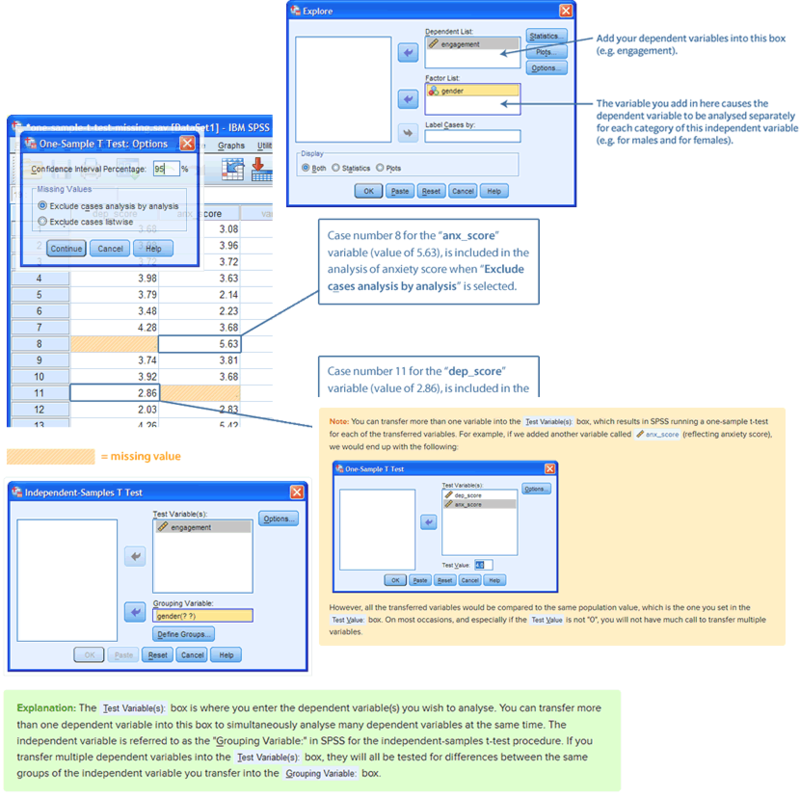 ), including statistical tests where you have to insert syntax into SPSS Statistics rather than simply using the normal dialogue boxes (e.g., factorial ANOVA and within-within-subjects ANOVA). 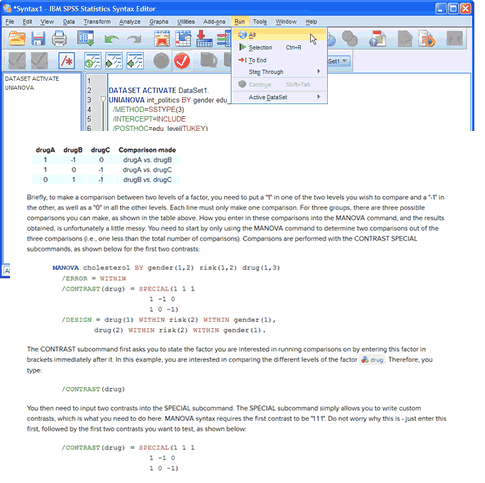 In such cases, we include the syntax in our guides and show you where and what you need to insert to make the process easier. With a growing list of advanced SPSS Statistics guides, use our guides to feel confident that you are carrying out the correct data analysis. We are adding guides all the time, and have a schedule of new SPSS Statistics guides that we will be adding in May 2019 and beyond. We also maintain a "wishlist" from our users, which forms the basis of our schedule. Therefore, if there is a particular guide you want that you don't see below, please contact us so that we can add it to our wishlist.